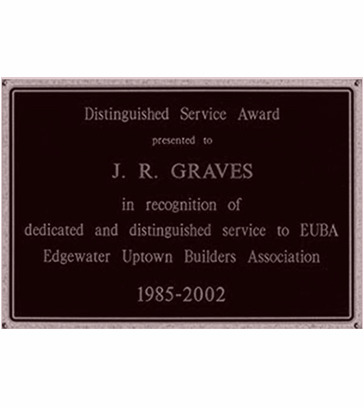 J.R. Graves has been honored not only for the quality of his construction work on the job, but for his contribution to the vitality of the communities in which he works. In 1994 he received the prestigious W. Clement Stone Award for "Outstanding Contributions to the Growth and Development of the Uptown Community" from Alderman Mary Ann Smith and W. Clement Stone. This was followed by numerous certificates and awards from neighborhood and industry organizations, some of which are pictured below. He continues to be active in the North Shore suburbs, sponsoring networking and community events, while transforming residential and commercial properties into award winning spaces. 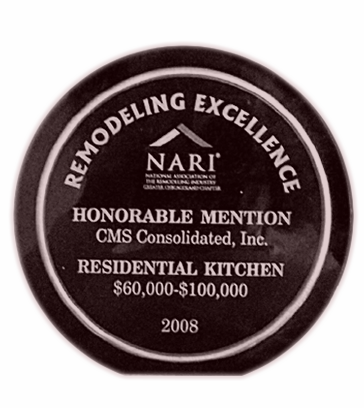 The prestigious awards are presented each year by NARI to NARI members who have demonstrated outstanding work through their remodeling projects. J.R. Graves' projects have received four first place NARI awards, one honorable mention and a personal award for his distinguished service to NARI.